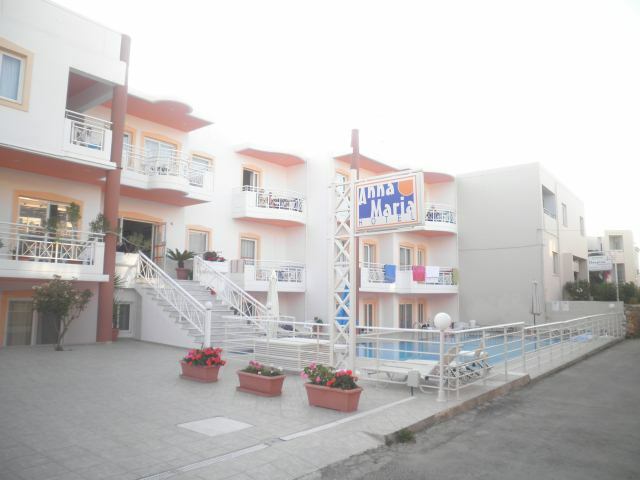 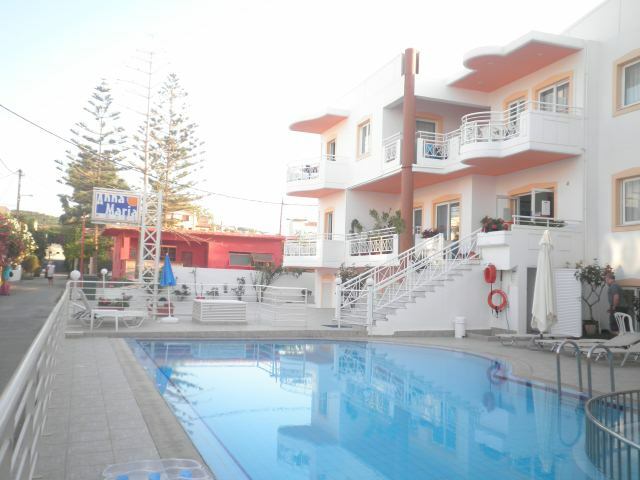 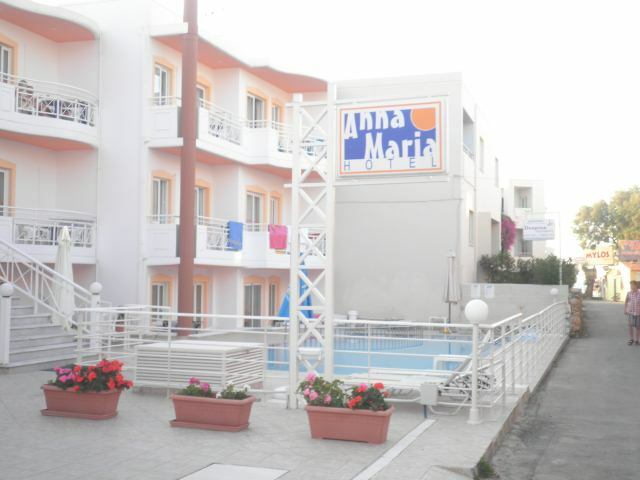 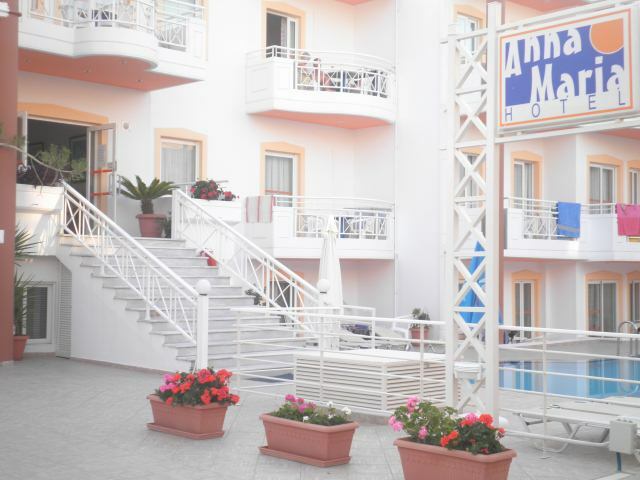 Anna Maria hotel is located in Platanias in the region of Kydonia which is one of the most touristic resorts in Crete, near the town of Chania. 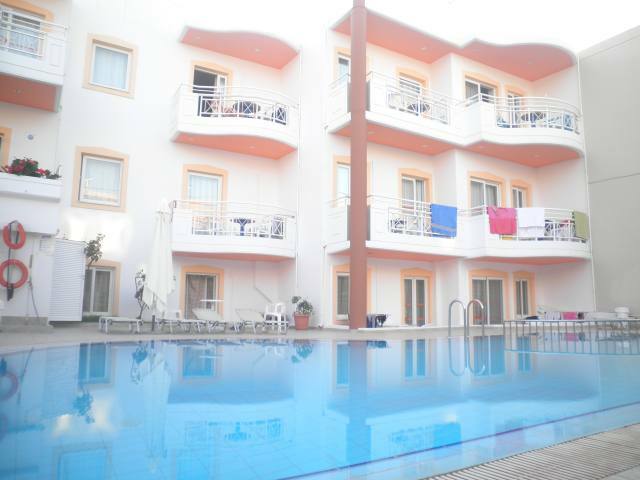 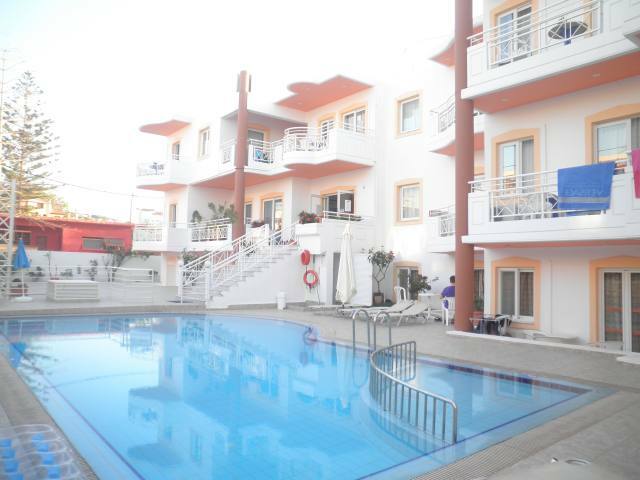 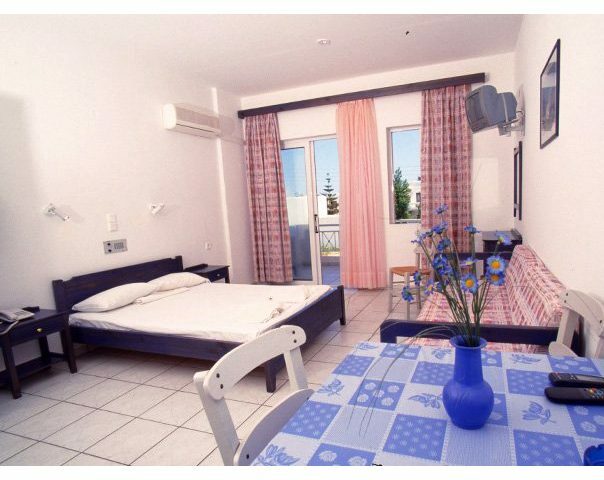 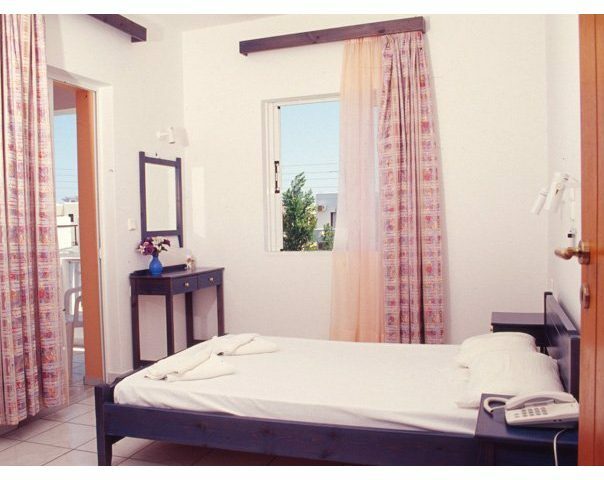 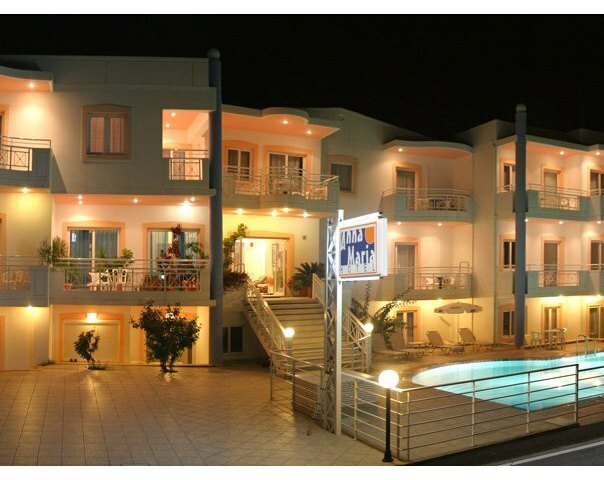 Anna Maria hotel in Platanias Chania is a modern unit consisting of 15 fully equipped rooms for two, three or four people. 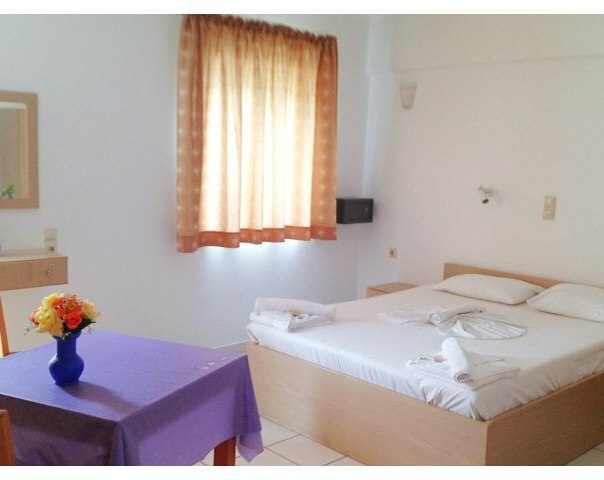 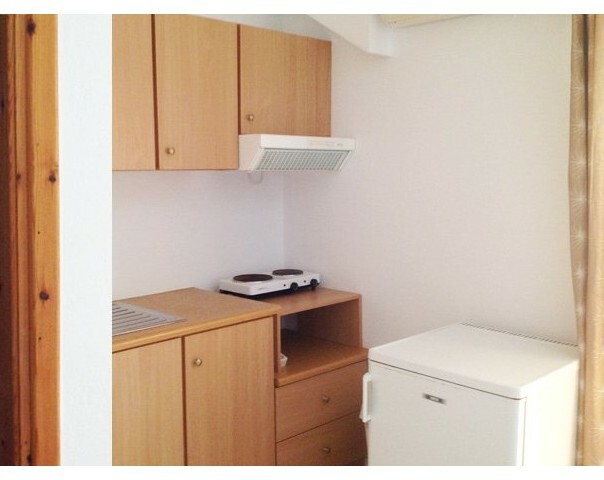 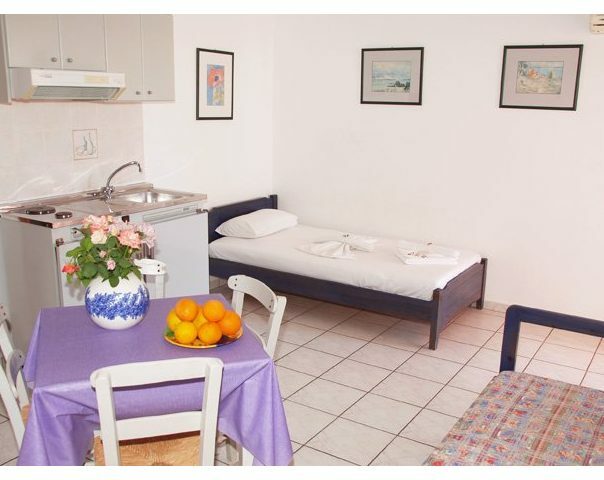 All rooms have a stove, refrigerator, TV, air conditioning, safe and bathroom with hot water 24-hours a day. 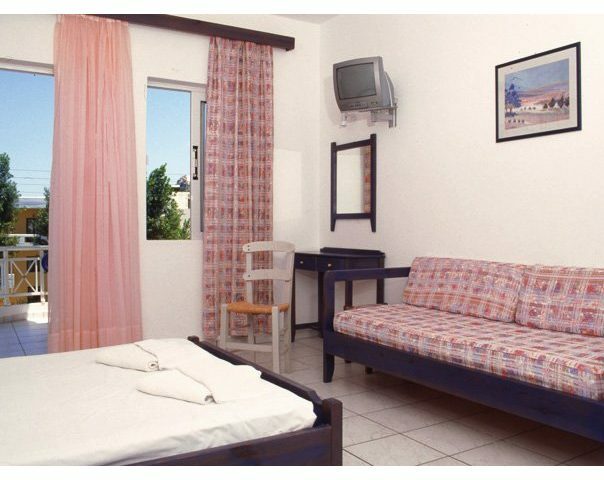 There is also a balcony in each room where you can enjoy the beautiful view.